Ntel is finally out of Ghost mode... if you are living in Abuja, ntel SIM pick up on-going in Abuja at the Transcorp Hilton. Some persons have already picked up theirs, what are you waiting for? 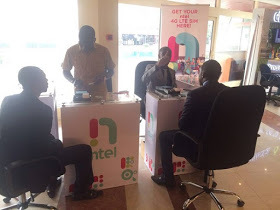 I don't know about Lagos state but if you've pick up your own ntel sim, kindly let us know. Meanwhile, ntel will enter Port-Harcourt next month.